Talk about playing with your food! These ladybugs are simple to make and will delight any crowd. As of yet I have been unsuccessful in tracking down the origin to credit the person who actually invented these. Kudos, whoever you are!! and thanks to my friends who sent links to me because they knew I would enjoy making these. So let’s get to the how of it. 1. 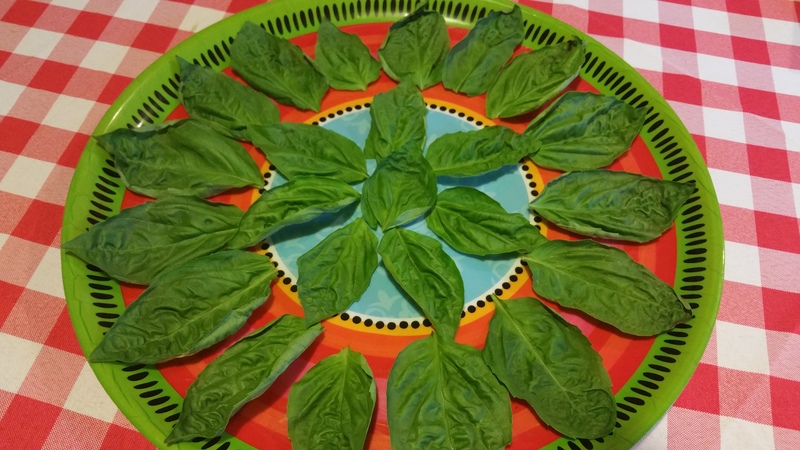 Clean and separate basil leaves and display them on your serving tray with the pretty, green side up. 3. Slice cherry tomatoes in half. Then slice each half about three-fourths of the way through. 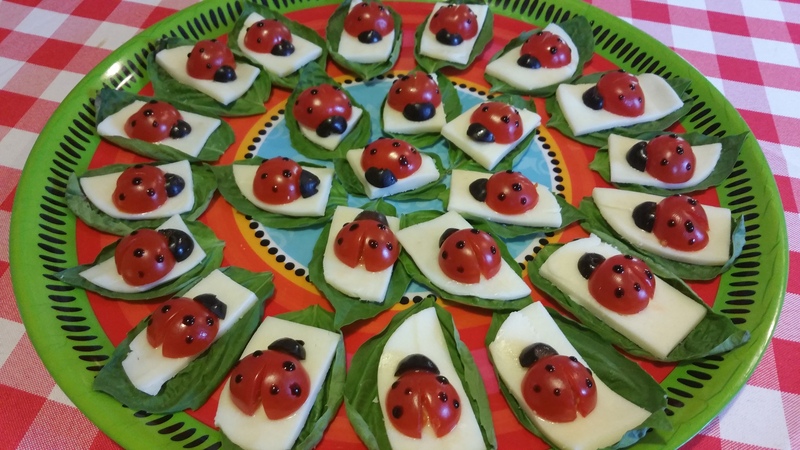 Lay each half tomato on a slice of mozzarella and spread to look like a ladybug’s wings. 4. 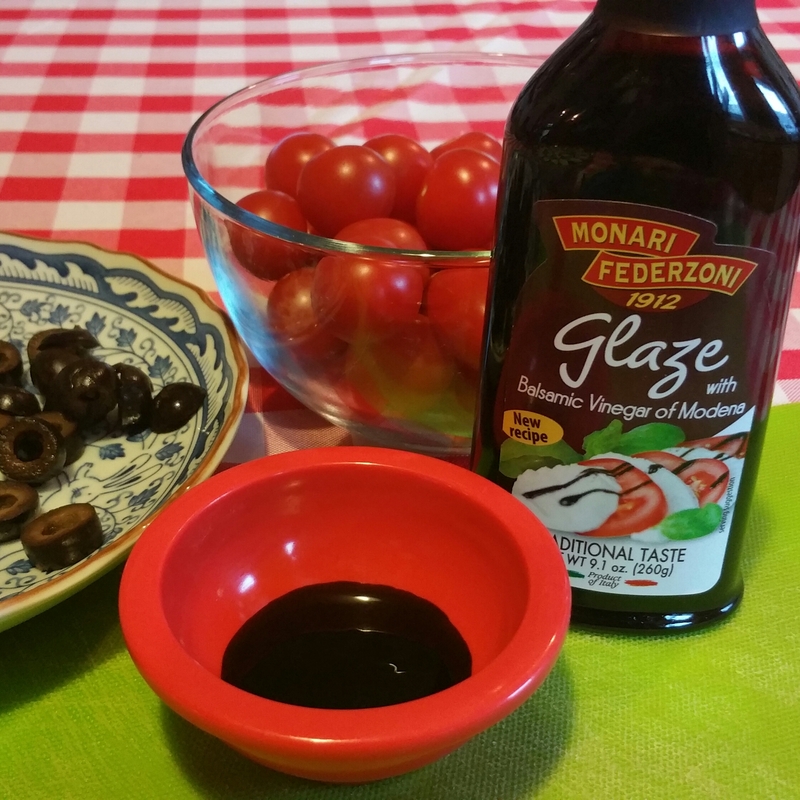 Place a black olive slice on the uncut end of each tomato to form the head. 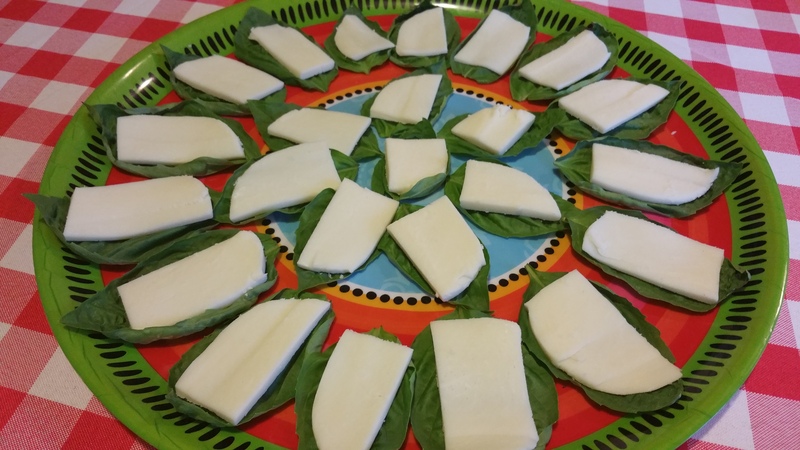 The rounded ends of the olives work best. 5. 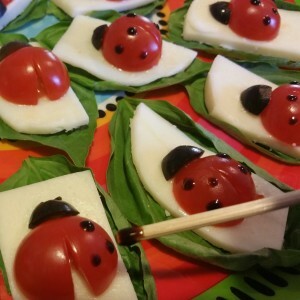 Place a little balsamic glaze in a dish and use a toothpick or skewer to paint dots of the glaze on the ladybug wings. That’s it. How easy! and how cute!